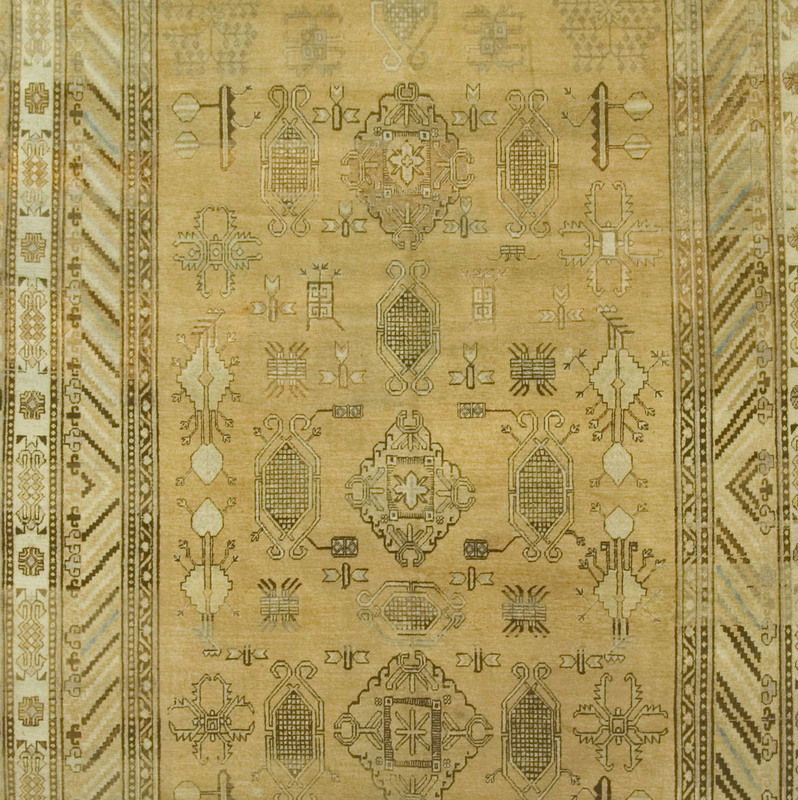 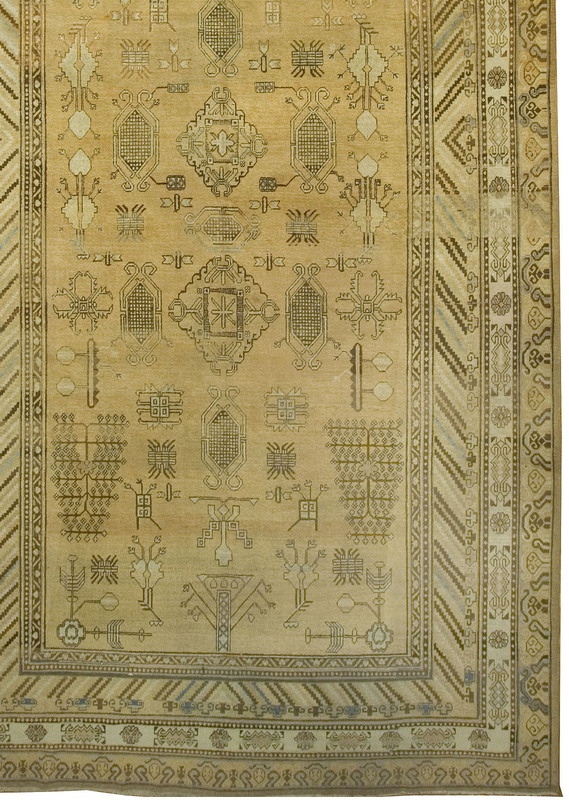 A variety of organic designs cover the central field on this antique Khotan rug from China. 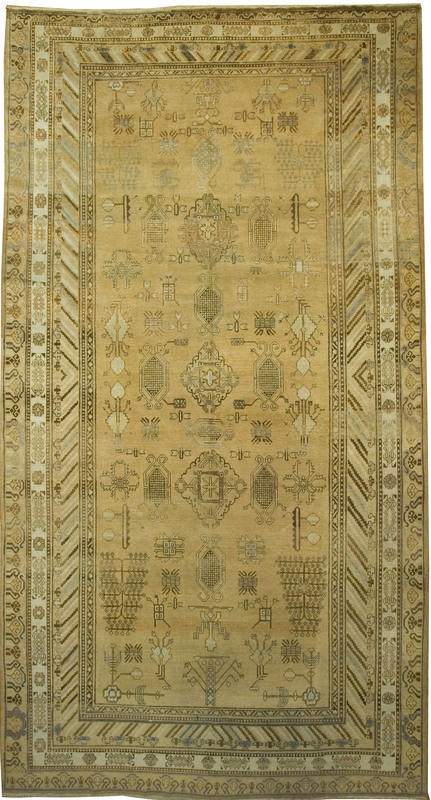 A wide border of diagonals floral patterns and organic shapes surrounds the rug and is woven in blues browns and ivory. 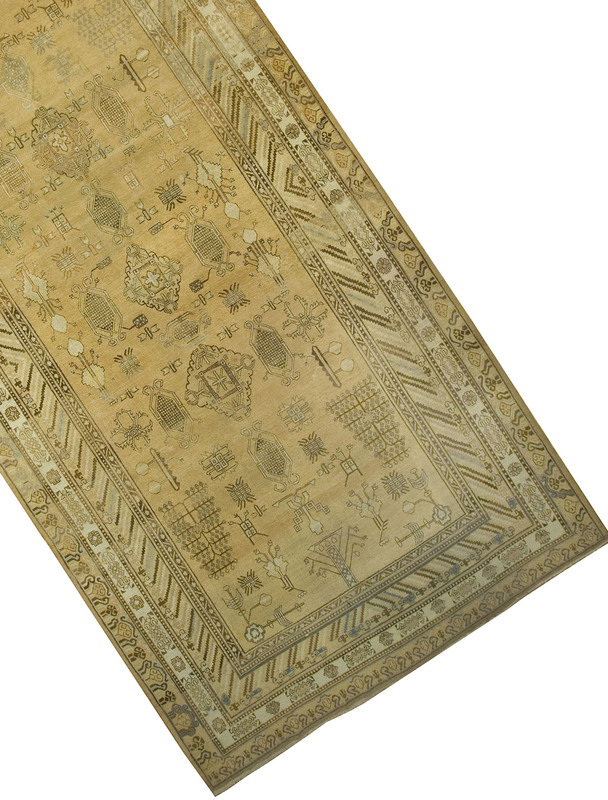 A healthy amount of abrash gives this rug a unique appearance and truly makes this a one-of-a-kind piece.